And who is that “winged” figure? In deciding upon a name for our about-to-be hatched organization back in 1972, co- founder Richard Albagli and I were dreaming with all our might of what we would become. Though neither of us had yet been to music school – we were freshly minted scientists at the time – we conceived of ourselves from some astonishingly clear future vantage point, as virtuosic young solo performers who would, as inspiration might guide us, choose to invent and perform together in service to our interdisciplinary and educational mission. 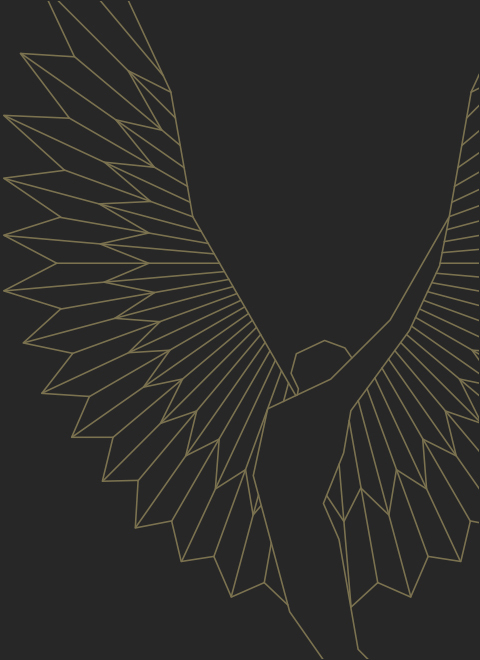 We chose the image of young Icarus rising in ecstasy toward the sun as our logo. Imaginative flight was to be our game and we would risk the feather-shattering fate that took the life of our winged friend. We were scientists, after all, and would assuredly be more careful of all things aerodynamic. Though scarcely a few years older than Icarus, we imagined ourselves of a more mature mind, certainly better read, free of hubris and sagely idealistic. In retrospect, the perfect mindset for inventing the future. We chose the image of young Icarus rising in ecstasy toward the sun as our logo. Of course, as we grew and as others began to hear the name “Associated Solo Artists”, especially others in the music field, it was not uncommon to see puzzled expressions on some very smart people’s faces as though we had uttered an oxymoron. Are you soloists or are you an ensemble? You can’t be a group comprised of soloists, or are you? How does that work? (Richard and I loved the paradox, the momentary boggling of minds. It reminded us of Niels Bohr’s famous principle of complementarity. “Well Mr. Electron, are you a wave or are you a particle?” ) And we would cheerfully explain that each of us was, indeed, a soloist who simply liked performing with other soloists who were our friends and creative partners. And that was that, and our numbers in time grew from two to four, to six -- for a long time six – then to nine, and to the current forty or so very gifted soloists on our roster. Just as Richard and I had dreamed it would.